James Allen Woughter, 69, passed away Friday, April 12, 2019, at his home in Alger with his family by his side. He was born Feb. 9, 1950, in West Branch to Victor and Erma (Harris) Woughter. He lived in West Branch all of his life. Jim worked at Bortz Health Care in West Branch for 25 years. At one time Jim held the record for the Senior Division Deadlifting State Champion. He enjoyed hunting, fishing, camping and watching football while spending time with family. Jim is survived by his sons, Scott Woughter of Garden City and Jeremy (Dawn) Woughter of Alger; daughter, Mandy (Matt) Studzinski of Dearborn; 12 grandchildren, Kaitlin, Jenna, Olivia, Amadeus, Vada, AmySue, Dani (Justin), Austin (Kayla), Calvin, Jeremy (Tia), Nora and Stella; five great-grandchildren, Laila, Cameron, Aubri, Austin and Ivy; and brothers, Larry Woughter of Flint and Dan (Judy) Woughter of Tennessee. He was preceded in death by his parents; and wife, Nancy, in 2011. Per Jims wishes, cremation has taken place. Memorial contributions can be made to the family of James A. Woughter. Please share your condolences and memories at www.steuernolmclaren.com. Alvin Roy Anderson, 69, passed away Monday, Dec. 17, 2018, at MidMichigan Medical Center - West Branch. He was born Dec. 4, 1949, in Detroit to Marlin and Marion (Anderson) Anderson. Alvin lived in West Branch since 1966, formerly of Farmington. He graduated from West Branch High School in 1968, which was the last graduating class for that school. In 1968, he was drafted into the U.S. Army, serving during the Vietnam Conflict. Alvin married Christine Beach in West Branch on Dec. 5, 1970. He worked at West Branch Industries for 32 years. He enjoyed hunting, camping, riding motorcycles and the outdoors. Alvin is survived by his loving wife of 48 years, Christine Anderson of West Branch; daughter, Teresa Anderson of West Branch; son, Peter (Kimberly) Anderson of Traverse City; grandchildren, Keegan and Kiah of Traverse City; siblings, Linda (Roger) Busk of Allegan, Bruce (Sheryl) Anderson of Chicago, Ill., Sharon (Jim) Downing of Owosso and Lori Anderson of West Branch; and numerous nieces, nephews and cousins. He was preceded in death by his parents; and in-laws, George and Marilyn “Shorty” Beach. Cremation has taken place, and a memorial service will be scheduled at a later time. Larry arrived on earth March 15, 1949, the fourth of what would be 17 McNamara kids born to Marty and Evelyn in Eaton Rapids, Michigan. You'd think it'd be difficult to distinguish yourself among 16 siblings, but Larry took it as an opportunity to shine. Eagle scout, camp ranger, general store proprietor, fireman, little league coach, landscaper, artful carpenter, fixer of all things; he shone at everything he loved. But he loved nothing more than his family. He was joined at the hip with his wife, Sue, for 46 years, and together, they set out to change the world with warm smiles and hard work. They created two daughters, Andy and Jessie, and in doing so, completed the strongest team in the history of the world and passed on a classically dry sense of humor. Gerald Lynn Miller, 64, of Salt Springs, Florida, died Friday, October 24, 2014 at Wildwood, FL. He was born March 6, 1950 in West Branch, Michigan. He moved from West Branch, Michigan to Summerfield, Florida in 1971. Mr. Miller was a Commercial Truck Driver. He was a member of Salt Springs Christian Church, Salt Springs, Florida. He is survived by his sons, Noah (Gina) Miller of Belleview, FL, and Zachary Miller of Belleview, FL; grandsons, Quinton and Landon; sisters, Julie, Monica, and Marsha; and his uncle, Walter (Marlene) Miller of Salt Springs, FL. A Memorial Service will be announced at a later date. Online condolences may be left at www.beyersfuneralhome.com. Arrangements entrusted to Beyers Funeral Home, Leesburg, FL. Barbara Brasseur passed away December 8, 2015 at the age of 94. 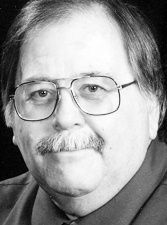 Terry, age 65,passed away Wednesday, July 22, 2015 in Fairview MI, at Wellspring Lutheran services. He resided in West Branch his whole life. Terry was born to the late Arnold and Wilma Quigley on November, 16, 1949. On July, 30, 1976 he married Cheryl Claud of Clio MI. He enjoyed hunting, camping and spending time with family and friends. He especially liked spending time with his 9 grandchildren. 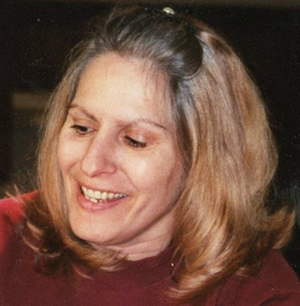 Linda Sue Nagy (Sanders), 64, of Flint, died Tuesday, Oct. 14, 2014, at her residence. Honoring her wishes, cremation has taken place. No services are planned. Contributions may be made to Grace Hospice or Valley Area Agency on Aging. Linda was born Oct. 12, 1950, in Pontiac to the late Augustoff and Patricia (Putnam) Sanders. She lived in Flint the past 30 years. Linda enjoyed knitting. Surviving are children, Mary Nagy of Mont., Elizabeth Scharrer of Grand Blanc, Wylie Nagy of Clio; three grandchildren, Victor, Rachel and Nicholas; sister, Diana (Dan) Kenworthy of Lapeer; nieces and nephews. MARY WAS BORN ON DEC. 31 1959 AND PASSED AWAY ON OCT. 27 2013. FROM KIRTLAND COLLEGE AS AN L.P.N. AND ALSO HAD AN ASSOCIATE DEGREE. SHE WORKED AT THE STANDISH HOSPITAL AND ALSO AT THE NURSING HOME IN WEST BRANCH. HER SISTER PATSEY LOVE AND BROTHER TOMMIE OUELLETTE. NOV.2. MARY LIVED IN FLINT MICHIGAN UNTIL THE TIME OF HER DEATH. SHE WILL BE MISSED BY ALL WHO KNEW HER. MAY SHE R.I.P. David and I talked often of WBHS and liked to catch up on former classmates here. He was truly an exceptional gentleman and will be greatly missed by all who had the pleasure of knowing him. David C. Simmons, age 63, passed away suddenly on October 30, 2013 while visiting family in West Branch, MI. He was born to Roy and Mollie (Carson) Simmons on June 2, 1950 and lived in West Branch until he was 20. He married Jeanne McGregor from Rose City in 1971 and had one son, Bryan Simmons. David graduated from West Branch High School in 1968 and attended Ferris State College. He was a Market Developer for United Hardware for many years. David was a very upbeat individual telling jokes and playing pranks on his friends and family whenever the opportunity came about. David is survived by his wife Janett (Collins) Simmons of Stigler, OK, one son, Bryan Simmons of Kearney, NE, his father Roy Simmons, one sister, Brenda Simmons, one brother, Steve (Denise) Simmons, three nephews, Greg, Scott, and Jason Simmons all from West Branch, MI. He is preceded in death by his first wife, Jeanne (McGregor) Simmons, his mother, Mollie Simmons, nephew, Kevin Simmons, and step-son, Joshua Carry of Stigler, OK.
His life will be celebrated during the Funeral Service for Roy Simmons on Monday, November 18, 2013 at 11:00 a.m. at the Steuernol & McLaren Funeral Home in West Branch, MI. 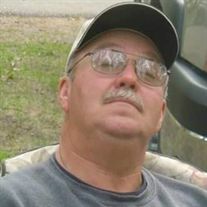 Howard “Howie” James Miller Jr., 62, of West Branch, passed away Friday, April 12, 2013 at home. Howard graduated from West Branch High School with the class of 1968. Howie was a H.O.G. member and a truck driver for T.R. Timber for more than 40 years. He enjoyed riding motorcycles, spending time with his grandchildren, partying and watching movies. Howie served his country in the U.S. Army. Howie is survived by his mother, Orrel Miller of West Branch; and his three sons, Matt (Missy) Miller, Howard “Buck” Miller III and Wade (Stacy) Miller, all of West Branch; and his daughter, Jade of Ann Arbor. He also leaves behind nine grandchildren, Gage, Brady, Zach, Clay, Ethan, Lakin, Alex, Hailey and Isabella. Other survivors include his sister, Kate (Ed) Gildner of West Branch; and two brothers, Dave (Brenda) Miller of Prescott and Jeff (DeAnna) Miller of West Branch. 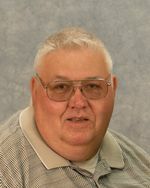 Richard Beck age 62, Class of 1968 West Branch High School, passed away June 1, 2012 at West Branch Regional Medical Center. He was a life-long resident of West Branch, Michigan and farmed since the age of 8. He and his family own Gallagher Centennial Dairy Farm (1906). He loved his Christian faith, his wife Roberta of 41 years, his children and grandchildren. Richard enjoyed going to rabbit camp in the Upper Peninsula, was an avid hockey fan and enjoyed snowmobiling and four wheeling. He served 32 years on the Ogemaw County Soil Conservation Board, serving many years as the chairman of the board. In 1977 he was runner up for outstanding young farmer of the Michigan Farm Bureau, and in 1983 he was the outstanding young farmer for the Michigan Jaycees. Richard was a member of the Michigan Milk Producers Association and the Knights of Columbus. Richard is survived by his wife, Roberta Susan (Reid) Beck, five children, Mark & Kendra Beck, Chad & Lori Beck, Laurie Beck and Katie & Joe Weber all of West Branch and Melinda Grace & Loren Caverly of Whittemore, grandchildren Alexandrea, Cole, Zachary, Calvin, Isaac, Ailie, Lane, Landen, Laken, Reid, Courtney, Conrad and Kristy, and his bassett hound, Abby. Also surviving are his brothers Don & Linda Beck of Ewen, Bill & Mary Ann Beck of West Branch, Mark & Mary Beth Reid of Standish, Garry & Cynthia Owen of Alger, Jim & Elizabeth Morris of West Branch, Frank & Alida Reid of Omer, Joe & Margaret Warr of Au Gres and Wally Crawford of West Branch and his mother-in-law, Mary Lou Reid of Standish. Timothy Freddie Smith, age 60 of Alger, passed away Tuesday, September 28, 2010 at Bay Regional Medical Center in Bay City. Timothy had lived in Alger for all of his life. He was a member of Carpenters Local #116 for 15 years, a Bourret Township official, trustee and supervisor for a total of 18 years, a member of the Wildwood Fire Department serving as a volunteer firefighter and board member and he worked for the Gladwin County Road Commission for 21 years. He enjoyed fishing, hunting and spending time with his family. Timothy is survived by his wife Carolyn Smith of Alger, children, Robert Smith of Alger, Jennifer Smith of Harrisburg, PA, Sara Smith of Alger, 3 grandsons, Trent, Landen and Tre’. Also surviving is his mother in law, Bertha Kruger, brothers-in-law Richard (Suzan) Kruger of Midland, Randy (MaryPat) Kruger of Coldwater and Roger (Debbie) Kruger of Bancroft, his sister-in-law Marilyn (Bill) Brudigam of Saratoga, WY, several nieces and nephews and his cousin Evelyn Deer. He was preceded in death by his parents, Dorothy and Edward Smith and his father-in-law Fred Kruger. 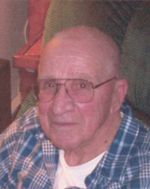 George C. Beach, age 85 of West Branch, passed away Wednesday, February 11, 2009 at Bortz Health Care in West Branch. George had lived in West Branch for most of his life. He was a member of the VFW Post # 3775 and the Trinity Episcopal Church. George worked as a maintenance supervisor for the West Branch-Rose City Area Schools from 1958-1974. After moving to Lapeer, he retired from Lapeer Public Schools in 1995. George is survived by his children, Christine (Alvin) Anderson, Howard (Amy) Beach and Arna Beach all of West Branch and Jean (Jerry) Weiler of Bay City, grandchildren, Teresa Anderson, Peter (Kim) Anderson, Adam Weiler, Myka (Eric) Denstedt, David Eden, Krista (Jason) Beaver and great-grandchildren, Keegan, Kiah, Maddox, Myles and Rhys. Also surviving are his siblings, Lorna Middleton and Wendell Beach both of Prescott, his twin sister, Genice Osborne also Leota Hiltz and Hildred Dobson all of Hale, Theo Beach of Arizona and Aaron Beach of Florida and many nieces and nephews. He was preceded in death by his wife Marilyn “Shorty” Beach, a granddaughter, Leslie Eden and his sister Orvetta Dodds. On Friday, February 20, 2009, the family will be present at the Trinity Episcopal Church in West Branch beginning at 11:00 a.m. to receive friends until the time of the Memorial Service at 1:00 p.m. Rev. Philip A. Seitz will officiate. Burial will take place at Brookside Cemetery.